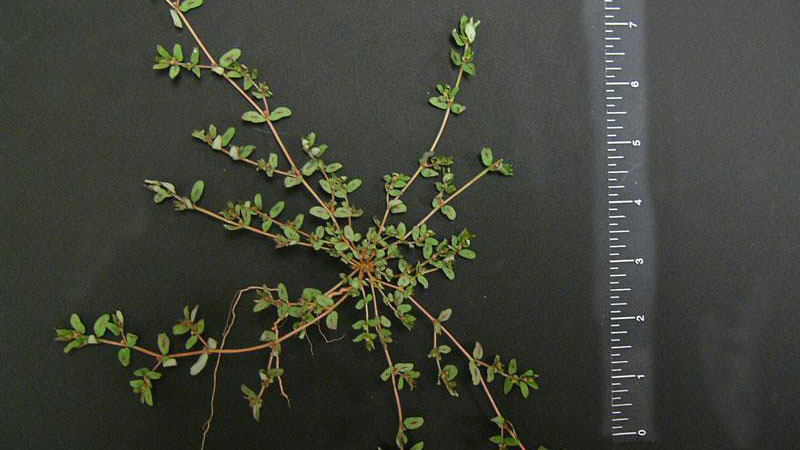 Spotted spurge is a summer annual with a taproot; it has an open and prostrate mat-forming growth habit. It branches freely from the base. 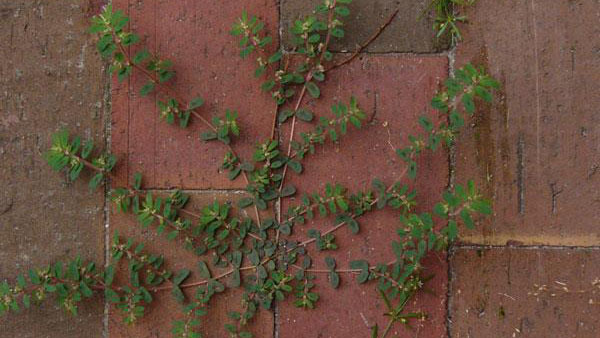 The reddish or green prostrate stems form a mat-like growth which often chokes out desirable turfgrasses. When the stems are broken they emit a milky juice. 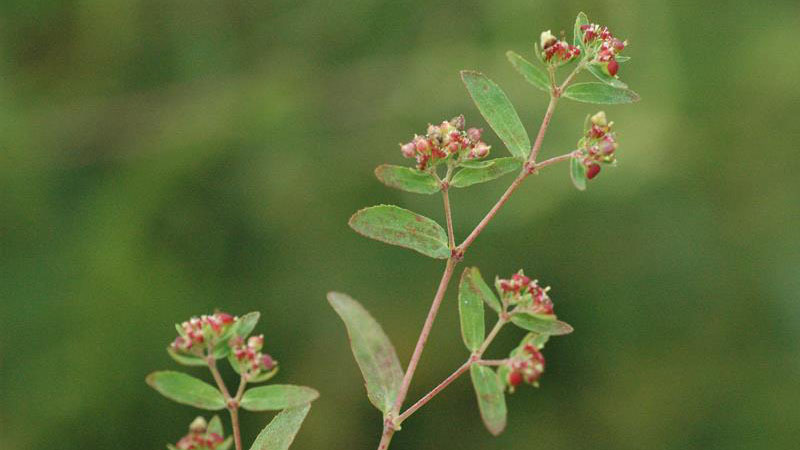 The leaves are opposite and vary in color from a pale reddish-green to a dark green but usually have a conspicuous maroon blotch. The leaves are smooth or sparsely hairy, toothed especially near the tip and unequally sided at the base with a short petiole. 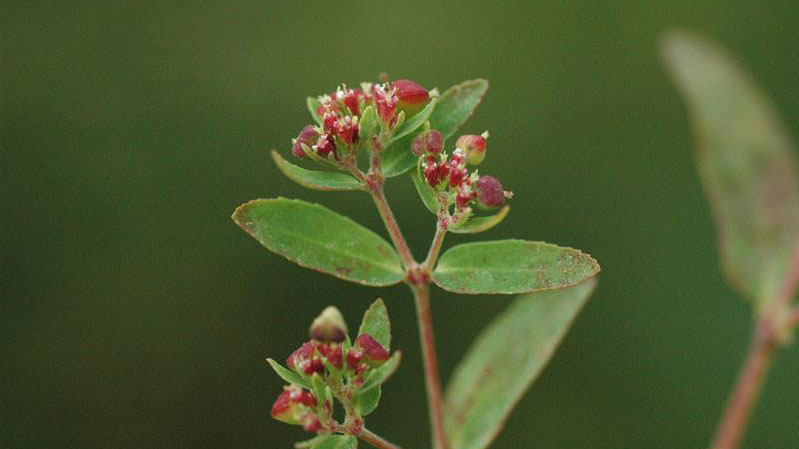 Flowers are very small, pinkish-white, inconspicuous, and borne in the leaf axils. 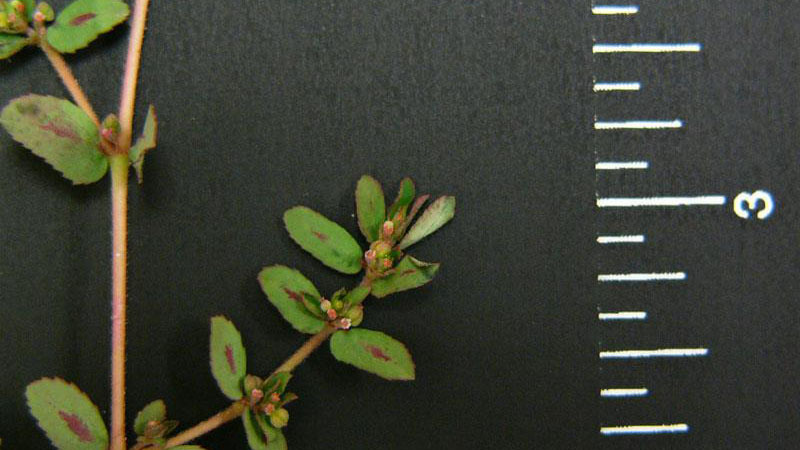 Spotted spurge may flower within three to four weeks after emerging in mid-summer. The fruit, a three-lobed capsule, develops rapidly. 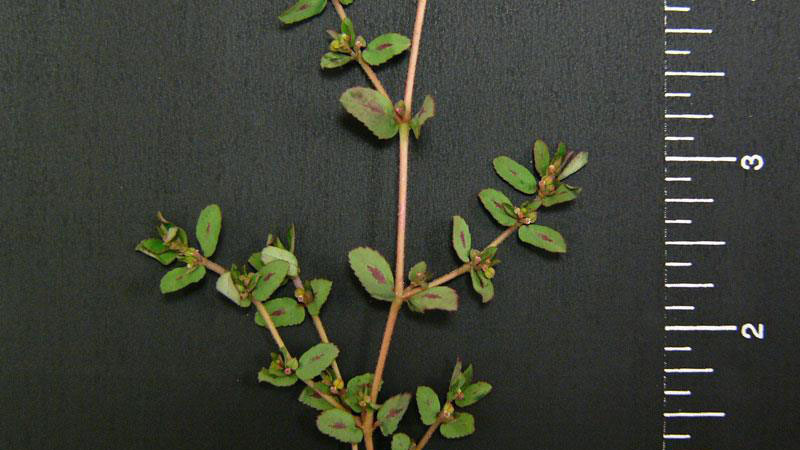 Spurge is often found in fields, gardens, turf and waste areas. 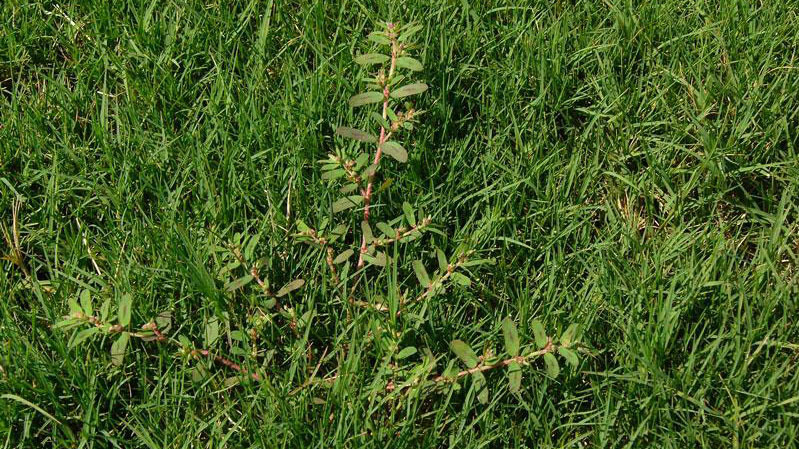 Prostrate spurge can survive close mowing because of its prostrate growth habit. It forms a mat-like growth which often chokes out desirable turfgrasses. Maintain a dense, actively growing turf through proper mowing, fertilizing, and watering practices. Mow at the proper height for your selected adapted turfgrass. Coring and traffic control reduce compaction and encourage desirable turfgrass competition. 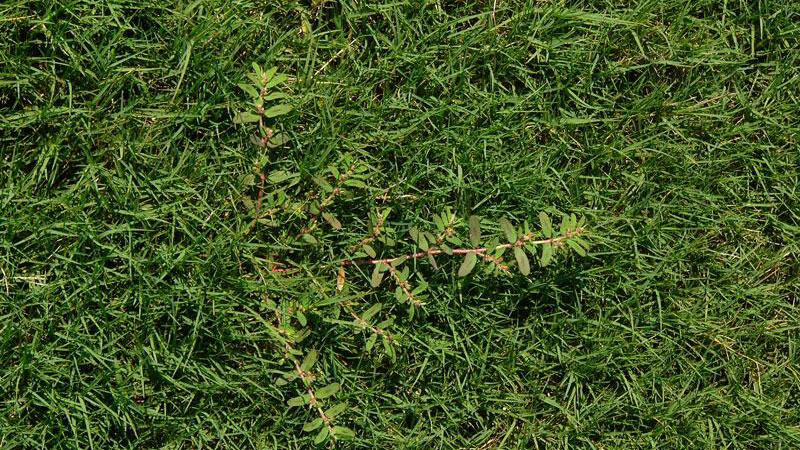 It is best to control this summer annual broadleaf weed in late spring or early summer because it is easier to control at this time and the turf will have a greater chance of recovering the areas previously occupied by weeds. Figure 1. Spotted spurge growth habit. Figure 2. Spotted spurge growth habit. Figure 3. Spotted spurge growth habit. Figure 4. Spotted spurge growth habit. Figure 5. Spotted spurge leaflet number. Figure 6. Spotted spurge leaflet number. Figure 7. Spotted spurge flower color. Figure 8. Spotted spurge flower color.